Violin Cases: How To Choose A Good One? When we buy our violins, they usually come in violin cases. They are useful in protecting our precious violins, and keep them in tip-top condition whenever we want to play it. 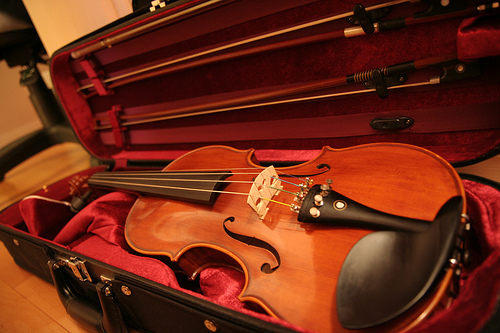 In the past, violinists used to keep their violins in hard-shell cases, as their strong covers and durability give the players a sense of security. Though the case can withstand any huge external knocks or hits, it is too heavy for transportation. Today, more violinists prefer lightweight cases, as they do provide similar standards of protection, and easier to carry around too. Violin cases today comes in different shapes and sizes, and of different qualities too. There used to have only a space for the violin, the bow, rosin, and a small pouch for accessories. However, now you might see more compartments, or even more advanced devices and tools attached to your violin case! While it may look cool and chic, choosing a case that is suitable for your violin is more important. If we open up a violin case, you would see the main compartment which is used for resting your violin. This compartment is made according to the size of your violin, be it 1/4 or full size. Nothing else should be contained in it. Then you have the upper case, where you can put your violin bow. There will be at least 2 knobs for placement of the bow, and it will be aligned in a way that the bow would not touch your violin even when the case is closed. There you have a small pouch or ‘box‘ at the end, where you can put violin accessories like your rosin, shoulder rest, strings or even your ear rings if you wish. Most violinists would also keep a small handkerchief in the pouch for regular cleaning of the violin after playing. On the whole exterior of the violin case, it is padded with suspension systems. It is common in violin cases today. The suspension system is there to support the violin against the back of the case. In an event when the case if dropped or knocked heavily, the suspension system will absorb the impact and reduce damage done to the violin. The harder the case, the softer the suspension, and hence the better the protection for the violin. Violinists do travel frequently with their instruments, hence, knocks are common to their violin cases. Securing your case? Don’t worry. Most violin cases have the zipper-and-lock system, in which the zippers start from the back of the cases, and end at the center front. And the case will be secured with the lock at the center. Cases which offer higher security may have two more locks at the side. Above are the features you will find almost in all violin cases. However, there are also expensive violin covers which offer higher protection, care, and security for the violin. Most professional violinists opt for higher grade violin cases, though more costly, but do provide greater assurance and protection for their expensive violins! Now, what other special features can we find in a violin case? Hygrometers can be found attached near the main compartment where your violin lies. 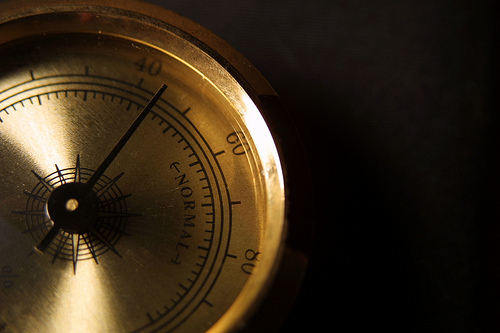 The hygrometer measures humidity levels, to indicate if the air surrounding your violin is too damp or too dry. Extreme humidity levels can damage the violin. Hygrometers is fixed in most higher grade violin cases, but they can be installed separately. Thermometers are installed in violin cases, to measure the temperature in the case. Humidifiers release moisture and adjust the humidity level in the violin cases. They are installed to prevent violins from cracking under extreme dry air. It is important, especially to protect and preserve expensive violins. However, it might not be necessary for student violins. The basic principle would be choosing a violin case based on the violin you have. 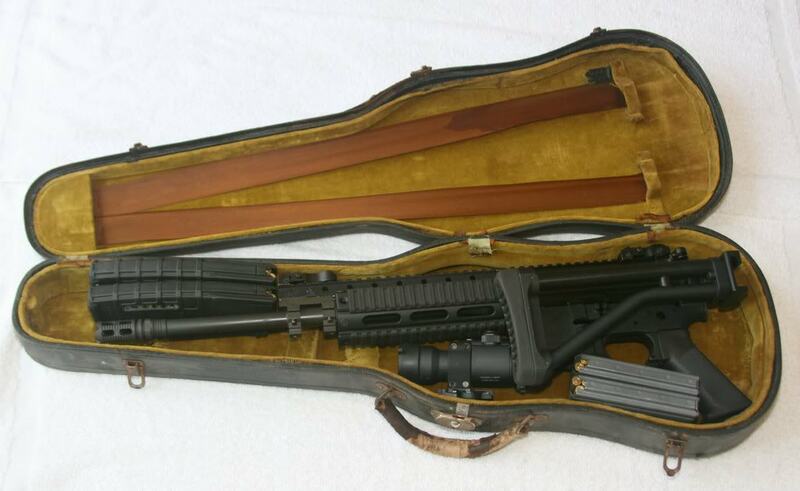 If you do have an expensive violin, do invest in a good quality violin case to protect your violin. After all, if your case is damaged, you can get a new one. But if your precious violin is damaged (especially ones that are made hundreds of years ago), you might not be able to get another one ever again. While you are choosing your case, check out the weight and its portability. Is it easy to carry around? Is it too bulky? You have to feel comfortable with the case. Some cases come attached with straps and extra handles, hence, do consider those too. While protecting your violin is utmost important, do check your budget when you buy one. While the violin cases can have many cool features and devices, you might not necessarily need them for your violin. However, do not shortchange yourself. If you really need a high quality case to protect your violin, go for it. You will feel much for safer when you travel it around, or keeping in your house for years. Lastly, do note that your violin case cannot give 100% protection to your violin, if you do not give 100% care to your violin case itself. Do not test the durability of your violin case by doing crazy things, like hitting it with hammer, or throwing down from the 11th story. Ultimately, it’s the violinist’s responsibility to take care of the violin, not the case. In the absence of the violin, the violin case can do wonders! Check out our Violin Music Shop for the latest updates on violin cases. Look out for special deals and discounts too! If you’re not sure about which brand of violin cases you should buy, check out our special reviews on different violin cases in the market below!